Throughout all of our field schools, we have had many professionals from the field come in and share their expertise and knowledge with us. When someone takes the time to volunteer their skills and abilities, it is a wonderful gesture on our part to thank them for doing so. 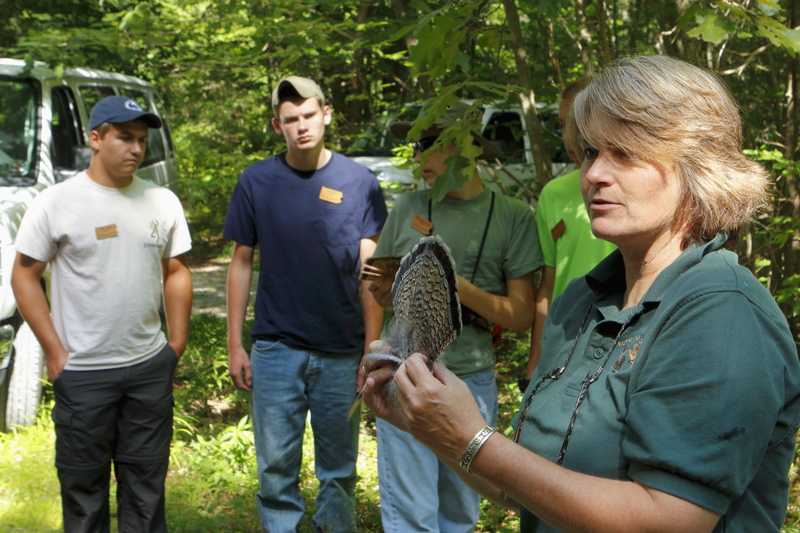 I would LOVE to see thank yous from each and every student who attended field school go to our biggest supporters – the PA Game Commission, the PA Fish and Boat Commission, the Ruffed Grouse Society, and the National Wild Turkey Federation. Remember – a little bit of thanks goes a long way! We appreciate everything our supporters do to make our field schools a valuable and memorable experience, and we hope you do, too! You can write them a little note, a card, or a letter – share your favorite memory from camp or the most interesting thing you learned. I know they will appreciate hearing from you!